Schezwan Roast Chicken| Szechuan Roast chicken| Sechuan Roast Chicken | Spicy Chinese Roast Chicken| Roast Chiken Chinese style - Roast or grilled chicken is a healthy option for consuming chicken. I have shared many whole roast chicken recipes in my blog. I have prepared this yummy chicken for Easter dinner and forget to post this recipe. 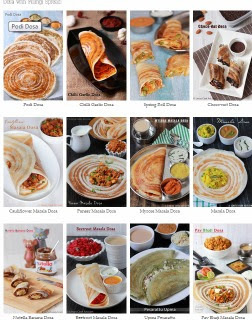 It is my trial recipe which came out really tasty. Easy and also quick to make marinade with out any prior planning. This is a chinese style roast chicken with home made Chinese schezwan sauce. I have already shared another Chinese style roast chicken recipe with Chinese 5 spice powder and Chinese sauces. I have already posted Indian style Tandoori Masala Roast Chicken and another Roast chicken recipe mainly spiced with green chillies and with garam masala. Clean the chicken and pat dry score the flesh using a sharp knife; set aside. In a broad bowl add the schezwan sauce, soya sauce, lemon juice, pepper, salt and oil; mix well. Keep the chicken and rub the marinade well over the chicken keep some marinate inside the scored areas. Allow to marinate for 15-30 minutes. You can marinate up to 1 hour for more taste. Now transfer the chicken into a baking tray (line with aluminium foil if required). Cut some potatoes, garlic and onion and roll well on the leftover marinade and keep the veggies at the sides of the chicken. Meanwhile preheat the oven to 200 degrees for 10 minutes. Now decrease the temperature of the oven to 180 degrees and place the baking tray on the middle rack and bake for an hour or the chicken cooks well when it pricked with a fork. Notes: Use olive oil for health conscious people. Replace oil with melted butter for more taste. 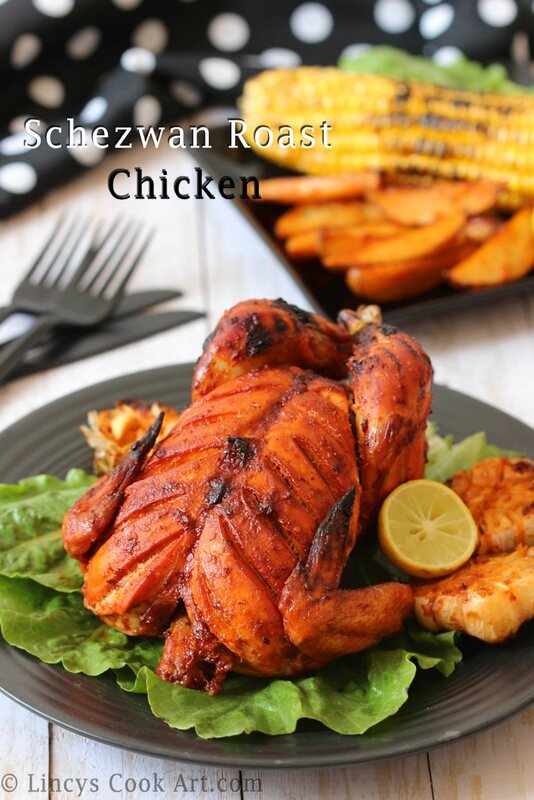 A roast chicken with schezwan sounds really interesting... looks so good, as usual amazing pics!